As the resident European feature guy, I jumped at the opportunity to break down my Top 5 from overseas for SEMA 2014 - little did I know it'd be as difficult as it was. Do I include mostly OEM vehicles? It is SEMA after all...how about full Racecars? There were some killer ones onsite. So I've broken it down to the best in each category but limited it to a total of 5. 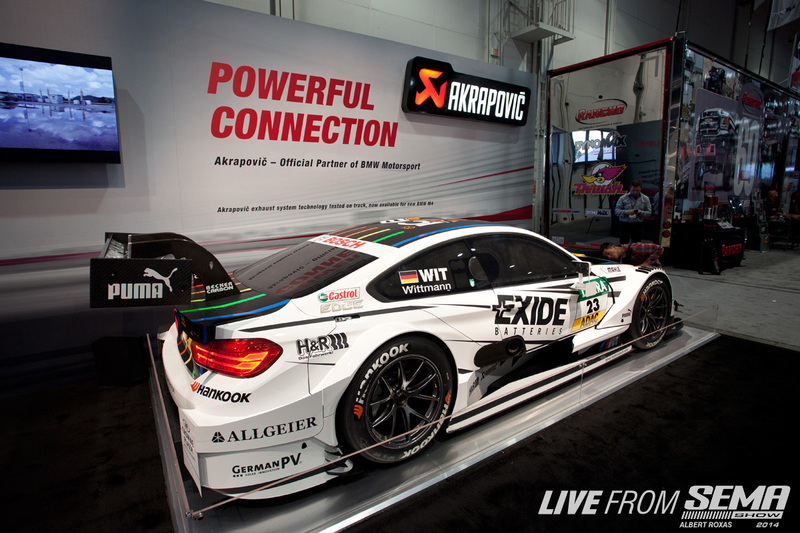 Best Racecar: Akrapovic's BMW ///M4 DTM Racecar. Fresh off the track, sitting in the Central Hall. One helluva way to convince people to buy your titanium exhausts. Best aftermarket Porsche: Vollkemmen Design's Porsche 997.1 GT3. Killer Aero and uber tough BBS E88 custom fitment wheels. 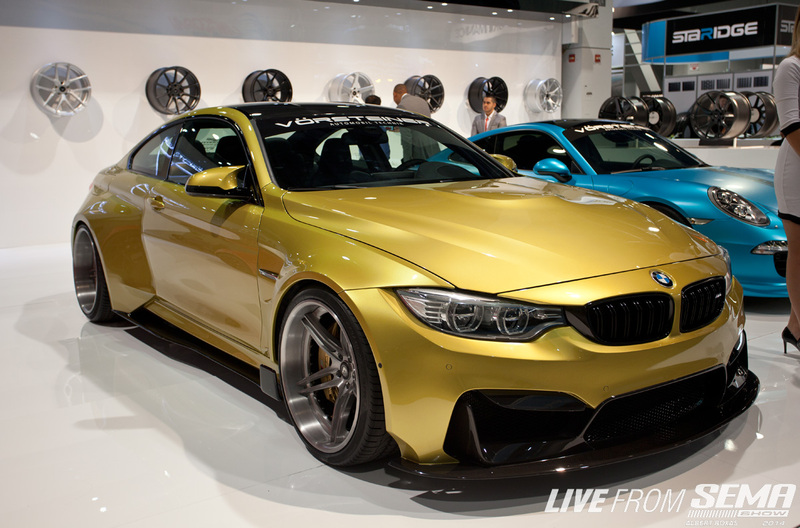 Best aftermarket BMW: Vorsteiner's ///M4 GTRS4 — insanely wide carbon fiber fenders and a gold iPhone 6 with purchase of the vehicle! 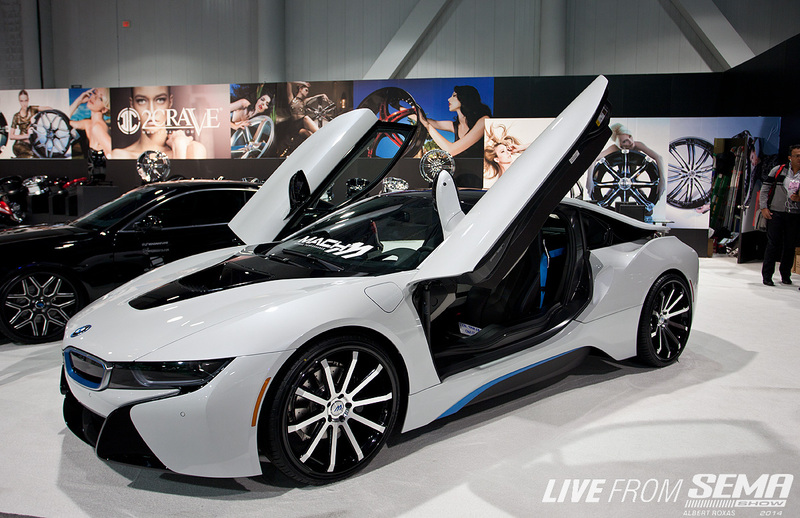 Best European Hybrid: I had to find a way to slot this thing in here, anyone who's willing to put aftermarket wheels on their BMW i8 is OK in my book. Tough fitment, dealing with LRR type tires - all a giant headache but worth it to get the point across on such a jaw dropping vehicle. It's great to see such a vast pool of European tuned vehicles to choose from, as the aftermarket grows we've seen the trend move from JDM to Euro with a good dash of Domestic. 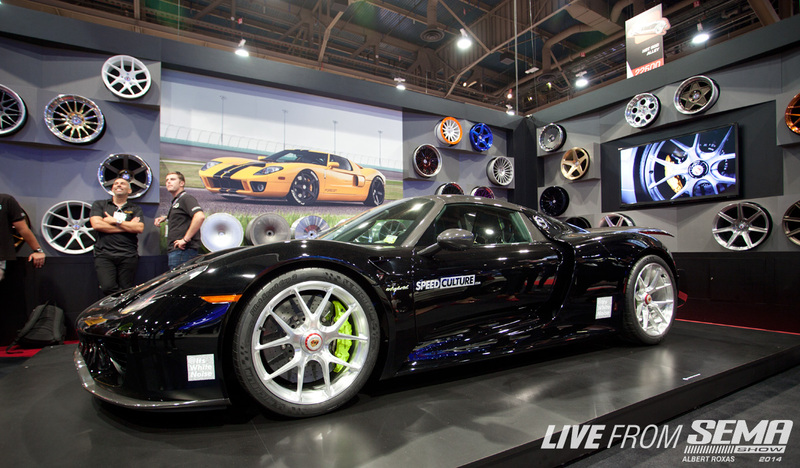 What will blanket the 2015 SEMA Show? We'll see in a year!